If you missed my introduction to this road trip, click here for Part I. In a nutshell, I will be the lone driver bringing four children (my two sons and two friends) from New England to summer camp in Minnesota. School lets out Friday; our camp session begins Monday afternoon. This will be an efficient, not leisurely, journey. 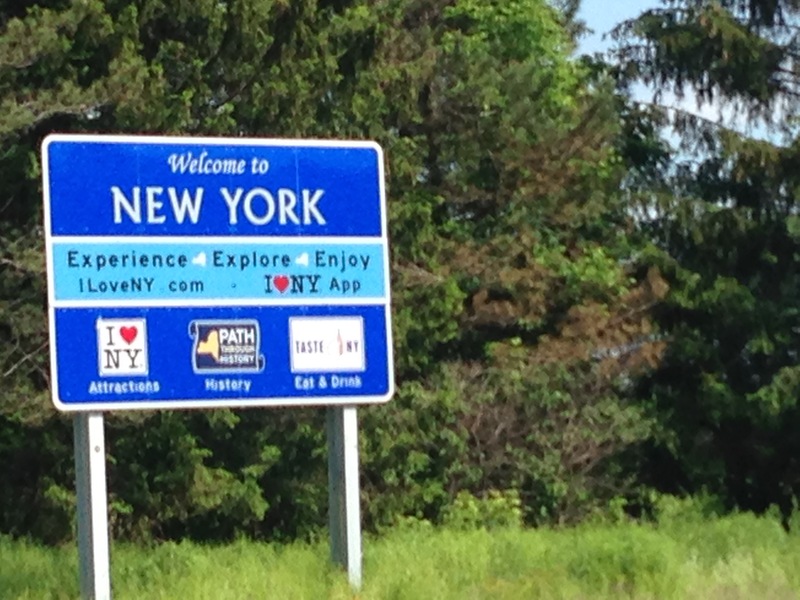 I enjoy road trips, but I wish I could take one without beginning in the over-crowded American Northeast. I used to have a 7 mile commute that took 50 minutes because of traffic and poorly designed roads. Actually, I believe cows designed those roads, so maybe I should be less critical of their engineering prowess. Google still thinks we should fly. Or possibly make a run for the Canadian border? Google Maps clearly doesn’t appreciate a good old American summer road trip. We have an advantage setting out on a Saturday. We shouldn’t meet rush hour traffic anywhere, unless Eau Claire, WI (Monday’s starting point) has an unexpectedly vicious traffic problem. Saturday. 10 hr 20 min, 687 miles. The kids might be tired from their end of the year party the night before, but they can sleep while I drive. (Cue Melissa Etheridge: You Can Sleep While I Drive) As the only driver, it’s critical that I begin the trip well rested. Our target departure time is 6:30 am. Loading the van Friday night means very little last minute prep work is required. I’ve even laid out the boys’ clothes so they will have no decisions to make. Babushka (grandmother), who lives downstairs, asked if she could make the kids breakfast. This was an easy sell, leaving me free to get myself ready, grab the cold snacks from the fridge, then load everyone up and go. I become less sociable as I become more goal oriented. My husband likens my behavior during travel to that of a commanding general leading her army into battle. The niceties suffer. We packed lunches to avoid eating too much overpriced junk food early in the trip. I thought having something packed by their mom might also ease the twins’ transition from her care to mine. We will make pit stops as needed, and will require one midday fuel stop, but intend not to make a long stop until our dinner time arrival at our hotel. Driving the Mass Pike (I-90 toll road in Massachusetts) or the New York Thruway (I-90 toll road in New York State) offers an almost identical experience once you’re past any urban traffic close to Boston. The road is long and straight. Exits are few and far between, but service plazas are evenly spaced, have clear signage, and offer everything you need if nothing of special interest. These are efficient roads as long as traffic is moving. One passes through a tiny corner of Pennsylvania on this route. I think you spend less than an hour in the state. You get your first glimpse (westbound) of a Great Lake here. If I tell you that you pass through a city called Erie, PA, can you guess which Great Lake that is? There’s nothing else that sticks in my mind about driving through this state along I-90. Ohio is memorable for having very clean, comfortable Rest Areas and more law-abiding, courteous drivers than most other eastern states in which I’ve driven. Beyond that, I’m usually fixated on getting to my next stop as I pass through here. It’s a stretch of road that is inoffensive enough that I have little to say about the experience. Our estimated time of arrival is 6:30 pm. Taking 12 hours to drive for 10.5 sounds about right, factoring in rest, fuel, and meal breaks, but I’m not sure whether my usual estimates will apply with extra kids in our party and no second adult to wrangle them. Our hotel for the first night in Avon, OH is the Cambria Hotel & Suites on Detroit Road. There appear to be many restaurants to choose from in the immediate vicinity, and we expect to enjoy a sit down dinner before settling in for the night. The Cambria brand is part of Choice Hotels group. Choice properties include EconoLodge, Comfort Inn, and Rodeway Inn, amongst others. I’ve stayed at a number of these, but I hadn’t even heard of the Cambria brand before booking this one based upon location and room availability. I have a Choice Privileges membership (rarely used), so I will earn points for this stay. Joining these programs is almost always free, and usually awards at least some minimal benefit in addition to the points, which may or may not add up themselves to a redeemable award before they expire. 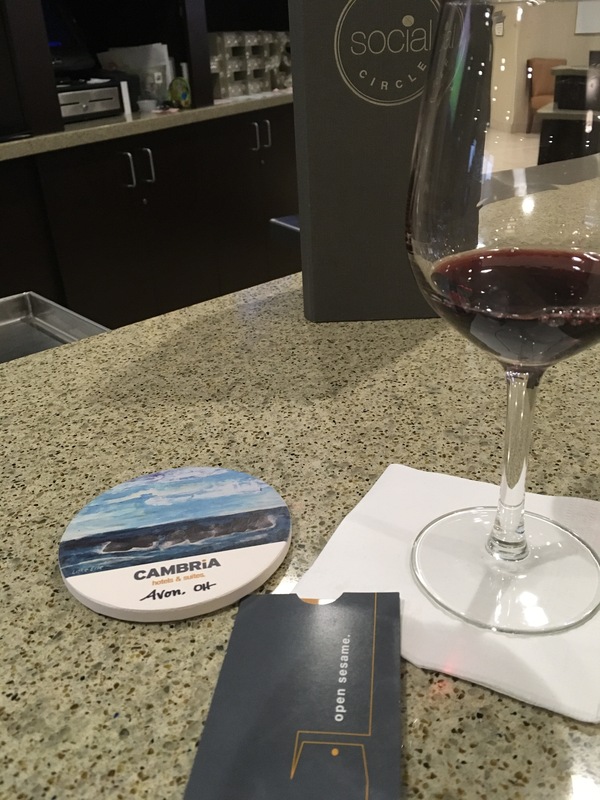 I believe Cambria is Choice’s top tier brand, but the price was competitive with a local Holiday Inn and other brands with which we have more experience. This stop is placed to make our first day the longest travel day by a few minutes. I prefer to do a little extra driving on Day 1 to create a hedge against later delays. 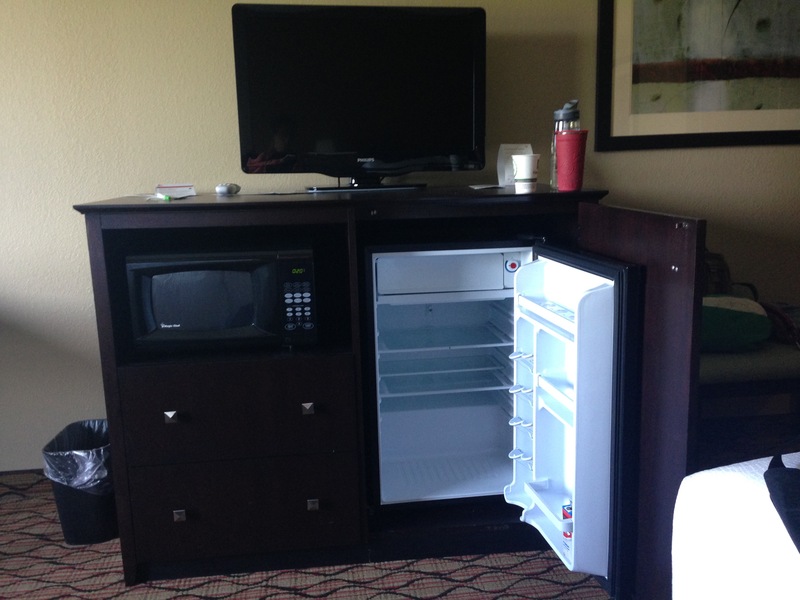 I also prioritized hotel rooms with fridges for this trip since we carried perishable snacks and extra (frozen) water bottles in a cooler. Access to Costco gas stations is restricted to members. Their prices are almost always amongst the very best in the area. I’m also confident in the quality of any product Costco sells. While their low prices often result in long lines, I expect we can avoid waiting by getting gas late Saturday or early Sunday when the Costco store itself is closed. This strategy is very successful at my local Costco location. Sunday. 10 hr 10 min, 639 miles. I’ve driven cross country from coast to coast at least four times before, and usually on the more northerly routes of I-90 and I-80. My least favorite stretches are almost always between Chicago and the Indiana-Ohio border. This is an area that often has heavy traffic. I’m not looking forward to this piece of the trip. Since we’re crossing this area on a Sunday, I don’t need to time our arrival at major cities to avoid rush hours. If our first day felt very successful, and because we will experience a one hour time zone change that lengthens the day, I expect to allow the kids some extra time in the morning. I estimate we’ll depart from our hotel in Avon, Ohio by 8 am. Indiana, as far as I can tell, is always doing road work on their stretch of I-90/I-80. I find it really aggravating to pay for a toll road in poor condition. I have no recollection of facilities here, so they are either nonexistent or not very impressive. Perhaps they were just overshadowed by frustration from sitting in traffic due to road work lane closures. Illinois (at least in the Chicago area) doesn’t offer pleasant roadside Rest Areas. They are basically just gas stations with large convenience stores attached. Drivers there also tend to be aggressive and rude, and I’m saying that as a resident of the Boston metro area, where the term Masshole is considered a badge of honor to some. Tolls around Chicago still require frequent stops for payment of small amounts in cash–a system Massachusetts had twenty years ago when I arrived, but has since been replaced with a quicker, more convenient all-electronic system. Speaking only for the experience of the long distance road tripper, I call this stretch of highway in Illinois the “land of lying liars” because of repeated bad experienced with posted signs indicating facilities that are impossible to find or closed. I like visiting Chicago by train. I’m unlikely to ever stop in the Windy City with my own vehicle. I believe this will be my first time driving in Wisconsin, though I’ve visited friends and family in Oconomowoc and Wisconsin Rapids in years past. My expectation is relatively pleasant and easy driving once we’re past the Chicago urban area. 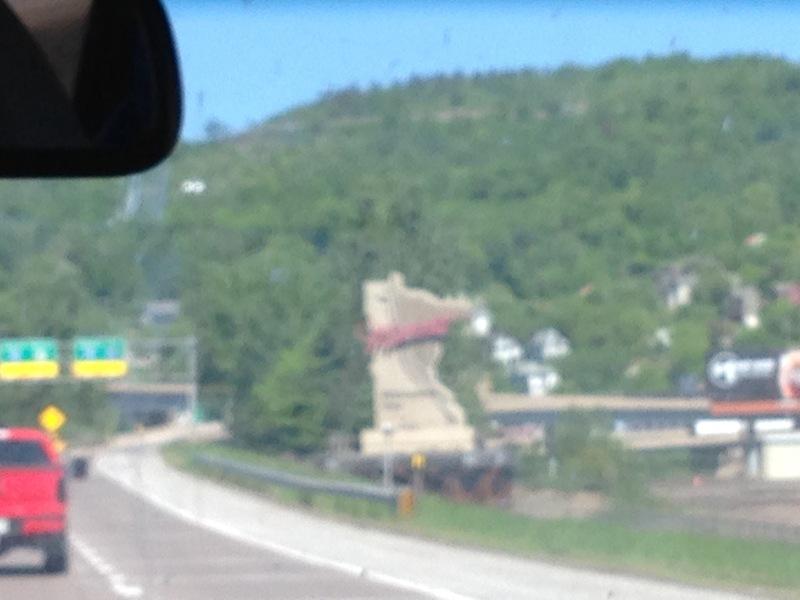 At least in the parts of Wisconsin I’ve visited, I saw decent roads, low population density, and polite people. Our estimated time of arrival is 7:00 pm. That’s 12 hours of driving time instead of 11 due to crossing zones from Eastern into Central time where Indiana gives way to Chicago. This allows about 1.75 hours for rest, fuel, and meal breaks. We plan to eat a nice dinner after we arrive. I usually don’t take long meal breaks during the day on road trips. After a heavy meal, I get sleepy. I eat lightly at midday while driving long distance. Holiday Inn and other brands within the IHG group are my default choice when I think a predictable experience will make life less stressful for me or my kids. I prefer interesting boutique properties when I’m exploring a new area in a leisurely way. When I want to concentrate on other things, or when I believe the kids will be experiencing some form of travel stress, I appreciate the way a known environment reduces anxiety. My favorite IHG properties are the Staybridge Suites with their apartment style full kitchens. These often offer two bedroom units (with two full bathrooms) which I strongly prefer to connected standard rooms as a family with kids. Connecting doors are designed to swing shut automatically; I want this door open night and day with my kids in the next room. The living room area gives me added space to keep larger luggage centrally located and ready to re-load the next day. Even if I don’t plan to cook in the full kitchen, having one gives me the option, and, somehow, the larger fridge makes it easier for me to remember to grab my cold items before we depart. I almost always make use of the dishwasher to give our reusable water bottles and utensils a good clean somewhere along the road on a multi-day trip. Even during travel with takeout meals, we try to avoid using disposable cups and utensils. 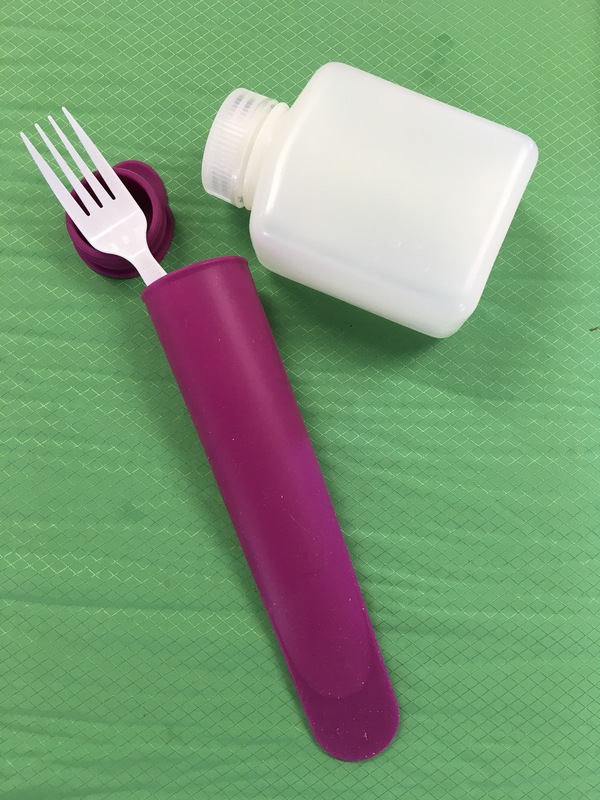 Silicone “ice pop” molds keep small utensils clean and are themselves dishwasher safe and reusable. 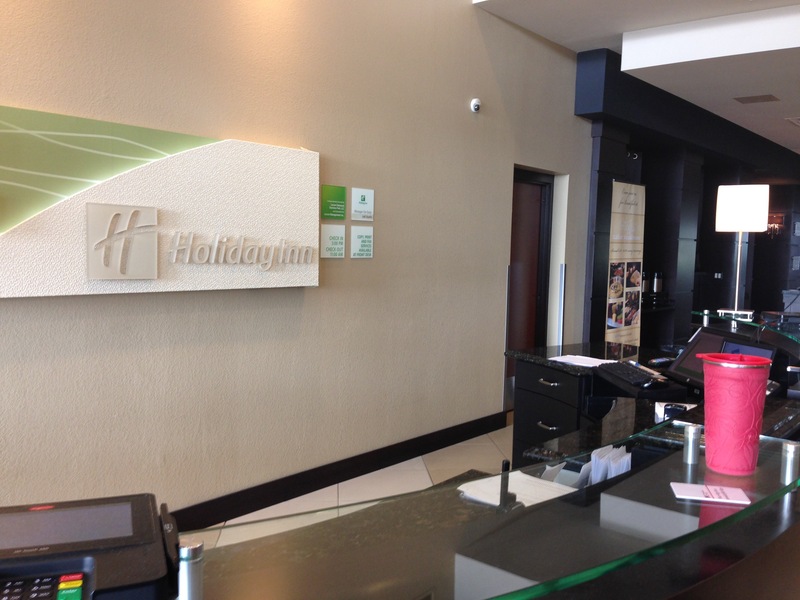 For this stop, however, we went with a Holiday Inn property. I was using IHG Rewards Club points to pay for one of our two rooms, plus the location on Owen Ayres Court in Eau Claire, WI was in a very convenient spot along I-94. I did call ahead and make sure hotel management knew my request for connecting rooms was to accommodate a pair of teenagers. Any decent hotel will work overtime to keep teens near their supervising adults! Booking a hotel with a full restaurant on site also allows for easy dining if we experience delays or I arrive too exhausted to take the boys out. There are many restaurants very close to this location, however, without needing to get back on the freeway or navigate unfamiliar city streets. Monday. 5 hr 12 min, 307 miles. Hopefully, Eau Claire, WI doesn’t have a significant rush hour since we will be here on a Monday morning. Allowing for six hours of driving time today, we plan to depart at 8 am. Our plan is the head north first and then cut west at Duluth. This puts us on Hwy 53 northbound, then Hwy 2 west instead of continuing on I-94 to Hwy 10. These two options show very similar travel times on Google maps. My assumption is that going through Minneapolis/Saint Paul on the Interstate freeway carries a greater risk of weekday traffic vs. taking the state highway to Duluth. If I were driving alone, or at night, I would probably take the more populous route because I would feel safer. I’m comfortable opting for less heavily traveled roads for daytime driving with several fit teens in my party. I doubt I could loosen the nuts to change a tire by myself these days, but I’m pretty sure the boys could help me do it if the need arose. I would call AAA first if I had a roadside emergency, but even my backup plans have backup plans. That’s how I roll. Read this if you missed my thoughts on preparing your vehicle for a road trip. I’m looking forward to this segment of our trip. I’ll be seeing areas of the country I’ve never visited before. I expect much of it will be scenic, and most will be uncrowded. As a transplant from the less populous Northwest region to suburban New England, I positively crave wide open spaces. Monday afternoon, 2-4:30 pm arrival time for camp. Because the camp allows a 2.5 hour window for arrival, we aren’t allowing much (if any) extra driving time today. We would like to check in as early as possible so we get first dibs on bunks, etc., but not enough to wake up extra early at this stage of a long, intense road trip. I also took note of the parking situation for families, considering my options for future trips. This shouldn’t present any obstacle that requires extra time upon arrival.